Mōnika Young is an AHIMA/VHIMA Student member who is also a military spouse and a registered dental hygienist. All of these opportunities have influenced her life in many ways. 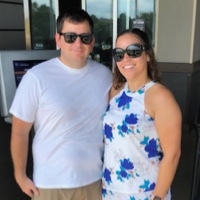 Along with her husband, Robert (pictured above), they have adopted a dachshund/beagle mix and a dachshund/Chihuahua mix from a local Virginia Beach dog rescue named Saver of Souls. As a Registered dental hygienist, she maintains an ethical work standard and understand patient confidentiality. In her free time, Mōnika volunteers at various school fairs, including the 2017 Fall Health Professions and Human Services Career Day and the 2019 Spring Law Enforcement and Public Safety Career Day. She also volunteers at the Foodbank of Southeastern Virginia and he Eastern Shore. This gives her the opportunity to give her time back to her local community. It is with these activities and community involvement that Mōnika has been awarded scholarships from the Tidewater Health Information Management Association, Virginia Health Information Management Association, and from the American Health Information Management Association! Mōnika’s goals for the next year is to pass the RHIT exam, obtain a position in either release of information, or possibly coding for the government, along with starting a family with her loving husband of 10 years. Mōnika is expected to graduate from Tidewater Community College this May with an Associate of Applied Science Degree. She currently has a 3.76 GPA. I graduated from the Medical College of Georgia in 2006 with my Bachelor of Science in Health Information Administration and obtained my RHIA in 2007. In 2010 I graduated from Capella University with my Masters’ Degree in Public Health with a focus on management and policies. I am originally from Georgia, if you are a golf-fan I am from the Augusta area. I have worked as the Director of HIM and Privacy officer since 2006 started in Georgia, went to Tennessee and now Virginia. I am currently working for Riverside Health System in Newport News, VA as the System HIM Director over five acute care facilities and one behavioral health facility. I have also taught RHIT courses for a technical college in Georgia from 2015-2018. I have done coding since 2006 with experience in acute care inpatient, obs., surgery, ER, professional and facility E/M levels & infusions/injections, radiology pro-fees and cancer infusion and injections. I love what I do! Some personal information: I met my husband when I was in eighth grade and he was in the tenth grade. I was only fourteen and was not allowed to date. At fifteen, my parents allowed double dating, and I could officially date at sixteen. We were married when I was twenty years old and have been together (married seventeen years) a total of 23 years. We have one son who is fifteen. He is gifted, and into reptiles. Reptiles are recent – six months ago I would never have set down and held a snake on my own – but I am learning with him. We have two Chihuahuas (Bella & Calee), two rescued cats (Neko & Tink), two baby western hognose snakes (Storm & Snow); and lastly, two pet mice (Remy & Linquini). We are part of a non-profit organization REV (Reptile Educators of Virginia) more for my son – they got his parents as part of the package! I love to read when I have time, spending time with family and friends, and I love to shop! Director of Health Information Management, Facility Privacy Official and Records Management Coordinator at LewisGale Hospital Montgomery and LewisGale Hospital Pulaski. I started my career typing face sheets and filing medical records on the evening shift while attending college for my Medical Record Technology degree. After graduating and getting my RHIT (old school RRT) credentials, I started coding for the same hospital. I decided to return to further my education and enrolled at Ohio State University non-traditional to get my BS degree in Medical Record Administration. I was recruited by HCA in an Assistant Director position prior to finishing my last year at OSU. Needless to say, I found my home with HCA and have been working for the company for 30 years. I started at LGHM in 1989 and took responsibility for LGHP in 2012. Our HIM team covers tasks for both facilities. While change can be challenging, it is has also motivated me to stay loyal to this profession. I am certainly looking forward to the day when the electronic health record is truly paperless. 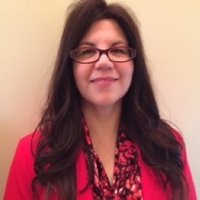 Christina is the Assistant Director of Coding Operations for Bon Secours Virginia. 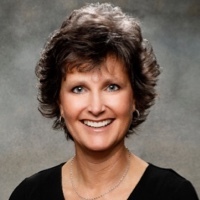 She has been with Bon Secours for over 13 years and supports Coding processes and functions with direct impact on the Bon Secours Revenue Cycle activities and outcomes while promoting a commitment to compliant coding, reimbursement and documentation practices. 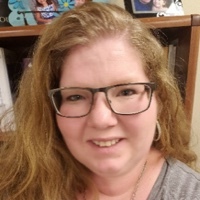 She proudly has been in the coding profession for over 23 years and began her career as a contract coder/ consultant for national recognized vendors. She loves the HIM industry. Problem solving is what she enjoys most in her position. Whether it’s overturning a denial, figuring out an underpay, or improving a bottleneck in a workflow to make a process more efficient, at the end of the day she feels rewarded that she has made a positive impact to patients, her organization, and her colleagues.